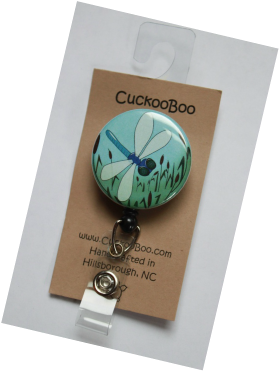 Accessorize your ID badge with these super cool badge clips. They are on a retractable reel, great if you need to swipe your badge at the workplace. Back has a belt slide clip. The round part is 1 1/2" and covered with plastic mylar. This is can be wiped clean unlike the fabric ones that look dingy after awhile.